With our domicile in the green heart of the Franconian Forest, our business was practically born with a feeling for the responsible handling of nature and resources. 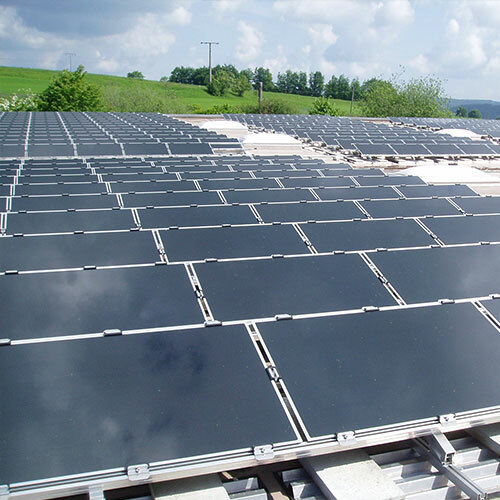 Our greenminded company philosophy comprises a sustainable working method as well as the sophisticated planning of our company buildings. Our future-oriented production and working principle consists of five pillars. 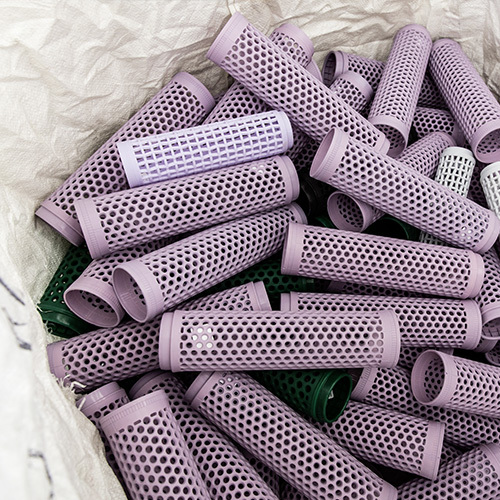 Recycling of waste products and yarn residue, short procurement and equipment paths as well as an azo- and formaldehyde-free production are standard for us. This is why we want to tell you more about the ecological aspects which make us stand out. • Temperature control in the rooms by means of external sun protection as well as a special cooling system which is integrated into the ceiling. 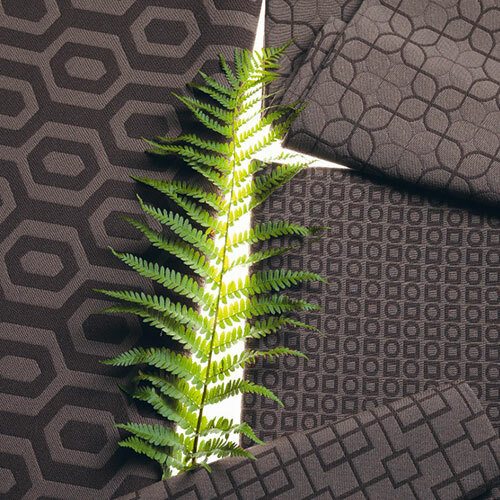 Our fabric collection completes the ecological concept because we are using environmentally friendly yarn components such as recycled cotton and quickly re-growing viscose made of birch fibre. But polyester and acrylic are also environmentally friendly. How that is possible, you ask? This is a legitimate question! Consider the materials from the following point of view: our polyester and acrylic yarns are particularly hardwearing and tear-proof. Therefore, the fabrics made with these yarns are extremely long-lasting and they have to be replaced less frequently. In the long term, this not only saves your wallet but also resources. 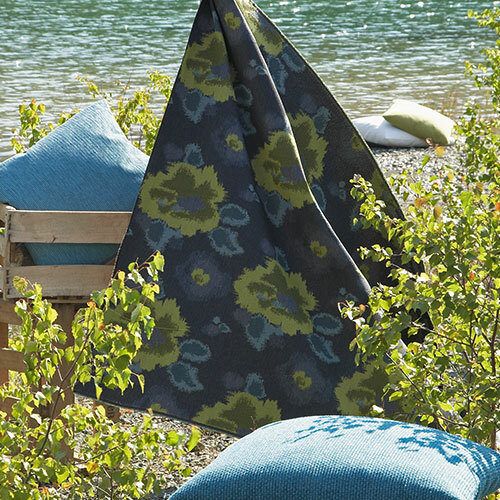 Our fabric collection completes the ecological concept because we are using environmentally friendly yarn components such as recycled cotton and quickly re-growing viscose made of birch fibre. But polyester and acrylic are also environmentally friendly. How that is possible, you ask? This is a legitimate question! 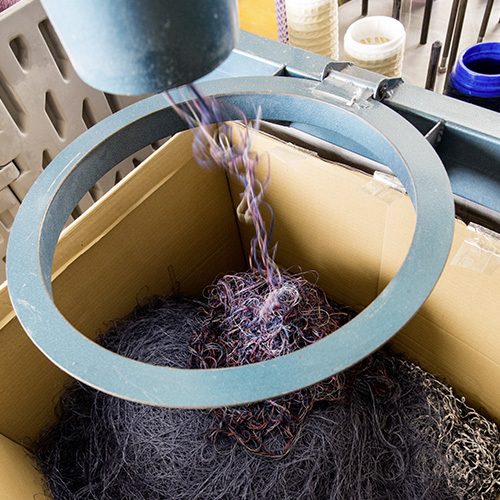 Consider the materials from the following point of view: our polyester and acrylic yarns are particularly hardwearing and tear-proof. Therefore, the fabrics made with these yarns are extremely long-lasting and they have to be replaced less frequently. In the long term, this not only saves your wallet but also resources..